A new brewery is about to take centerstage in Richmond’s craft beer scene. Courtney White, along with her husband Justin, will open microbrewery Intermission Beer Company in Henrico County tonight just in time for Labor Day Weekend. The brewery has been a long time coming for the couple. Courtney and Justin, who is at the helm as Intermission’s brewer, started toying with the idea four years ago. While they both have a background in IT, Justin ultimately decided to take the plunge and take his homebrew hobby to the next level and Courtney was immediately on board. Soon after, the husband and wife team started scouting locations. “They said we have to be in an industrial area because we would be producing a product, so we looked and it was like, that’s not us,” Courtney said. The two looked in Scott’s Addition and while there were only a few breweries planted in the now craft beer-heavy neighborhood back then, White said they decided to look elsewhere. 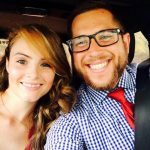 After checking out several spots in Henrico County and the Near West End, Courtney and Justin stumbled across their current space, at 10089 Brook Rd., online which they thought would be the perfect fit so they signed the lease last November. The 2,300 square-foot building, which is attached to a Goodyear and within walking distance of Virginia Center Commons, formerly housed a spa and most recently, Lighthouse Treasure Trove, but since 2013 it has remained vacant. Intermission Beer Company will have a tasting room with seating for around 79 along with outdoor patio seating. The production room, which sits in the back half of the brewery, houses a 5 bbl system that will be churning out a variety of brew styles according to Courtney. When it opens, the brewery will have three beers on tap: a Belgian Blonde, a pale ale, and an English Mild. The brewery won’t distribute right away, but will have flights and the goal is to switch beers out regularly to offer something for every craft beer enthusiast. Justin has an IPA recipe in the works and when the weather starts to cool off, he plans to release a milk stout. With a mall, a movie theater, several restaurants, and retail shops all within the vicinity, Courtney said she hopes to attract those patrons who are looking to stop in for a couple beers and hang out while they’re out shopping. And if you happen to be curious about the name Intermission, well that’s a nod to both of their theater backgrounds. Of course, the theater element made its way into the brewery’s décor too. 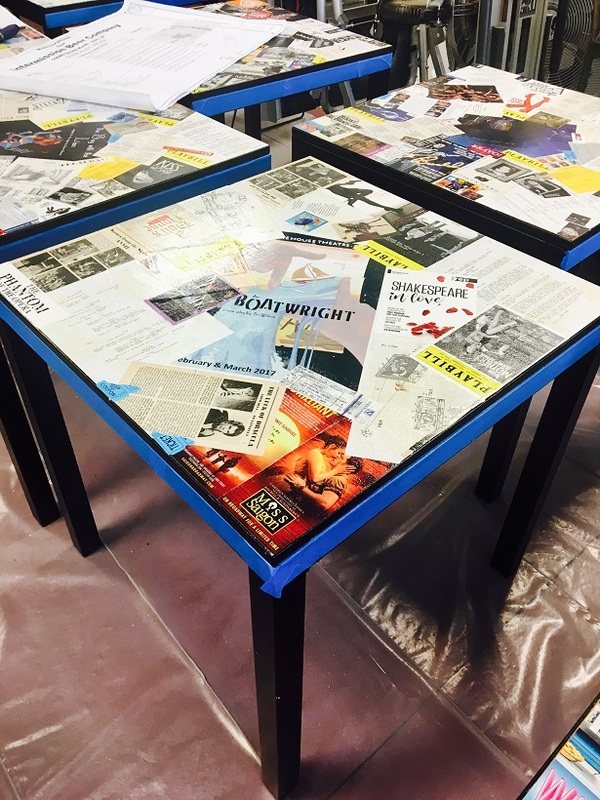 All of the tops of the tables in the tasting room have a collage of old local playbills, tickets, programs and other related items that have been strewn together. The brewery marks the fifth for Henrico County, with Strangeways Brewing on Dabney Road opening first, followed by Final Gravity Brewing Co. in Lakeside, and Rock Bottom Brewery and BJ’s Brewhouse in Short Pump. And so far, feedback from the brewery community has been positive according to White, who is the only female owner of a craft brewery in the area. “It seems to be. We’re part of Richmond Brewers United and from my perspective, it hasn’t been any different than normal, they haven’t treated me any different,” she said. When Intermission Beer Company opens this weekend, tasting room hours will be Thursday and Friday 4-9, Saturday 12-9, and Sunday 12-6pm. Courtney said once they get up and running, they plan to host events at the brewery, have food trucks, and small acoustic bands. 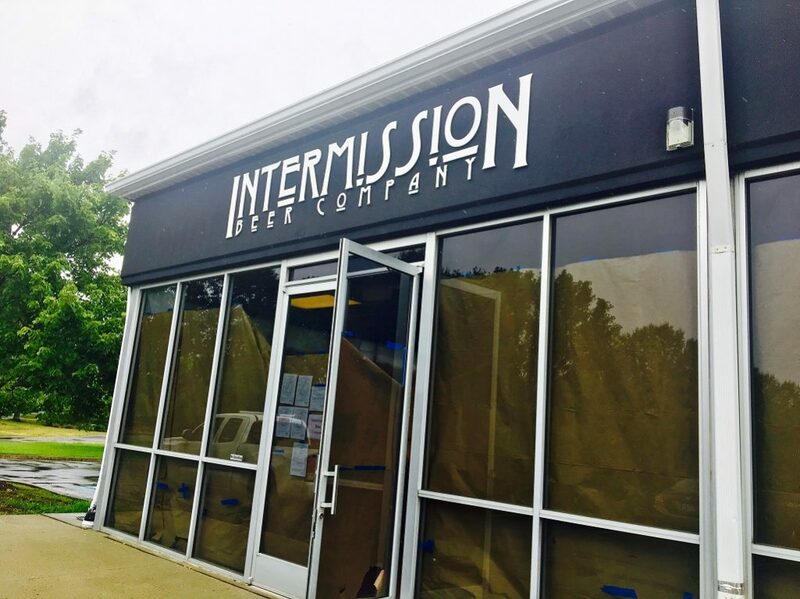 For their grand opening event this Fri., Sept. 1, which runs through the weekend, Intermission Beer Company will have raffles along with food trucks Carytown Burger and Fries and Bikini Panini. Raffle tickets are $1 each and prizes include Intermission Beer Company swag, oil changes by Goodyear, theater tickets from Swift Creek Mill Theatre, HATTheatre, Richmond Triangle Players at the Robert B. Moss Theatre, Virginia Repertory Theatre, Quill Theatre, Arts Glen Allen and Haunted House tickets from RED VEIN Haunted House. All proceeds from that will go to the Richmond Theater Artist Fund, which assists local artists that are in extreme need. Keep up with Intermission Beer Company here.